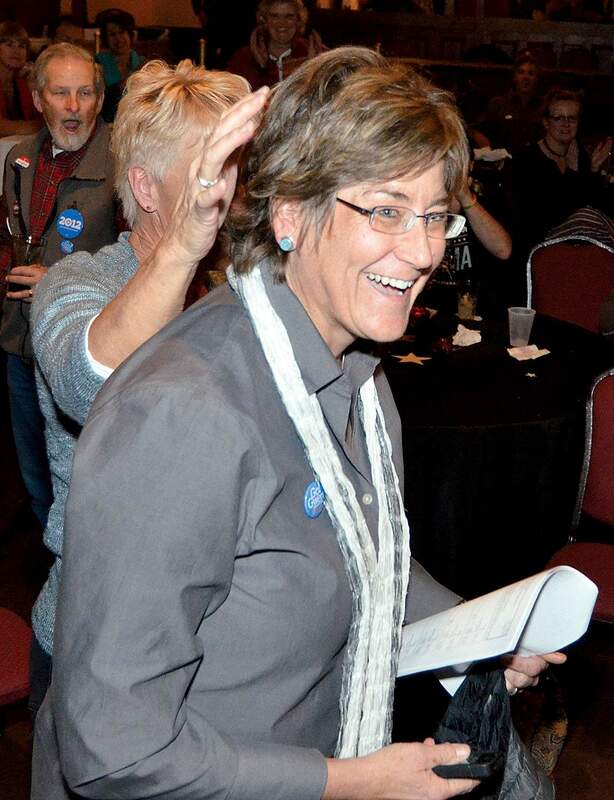 Campaign finance reports filed this week show La Plata County Commissioner Gwen Lachelt is receiving support in her effort to block her ouster from office, but recall supporters say the reports show outside money is aiding her cause. United Against the Recall, an anti-recall fundraising organization established by Conservation Colorado, reported $10,000 in donations, $3,522.37 in expenditures and $6,477.63 in cash on hand in a report submitted Wednesday to the Secretary of State’s Office. “We endorsed Gwen in 2012, when she first ran, and we endorsed her in 2016 when she was re-elected, and we are proud to continue our support for her,” said Lisa Pool, southwest field director for Conservation Colorado. But recall supporters said the financial filing shows outside funding is supporting Lachelt’s campaign, an accusation Lachelt denied. “La Plata County Commissioner Gwen Lachelt faces new ethics questions with the revelation that a group with close ties to California billionaire Tom Steyer is pouring thousands of dollars to help her fight against a recall brought by local La Plata County citizens,” according to a news release sent Thursday to The Durango Herald by Ty Hawkins, one of the three organizers of the recall. Steyer finances environmental causes and politicians. He launched NextGen America, a nonprofit organization that supports progressive positions on climate change, immigration, health care and education. NextGen Climate Action, an arm of NextGen America, made two donations to the Conservation Colorado Victory Fund, which donates to political candidates. NextGen donated $200,000 to the Victory Fund on Aug. 30, 2016, and it donated $80,000 to the Victory Fund on Oct. 25, 2016 – both before the recall effort against Lachelt. Recall supporters created a website, Save La Plata County, which explains why they are seeking her removal from office. Lachelt chuckled when asked if Steyer had donated to her fundraising committee, La Plata County for Gwen Lachelt. “I’m not quite sure why a California billionaire would be interested in my recall campaign, but stranger things have happened,” Lachelt said in a telephone interview Thursday. Jace Woodrum, Conservation Colorado communications director, confirmed Steyer has made donations to Conservation Colorado in the past but said Steyer has not contributed to the United Against the Recall committee, which is the group’s fundraising committee opposing Lachelt’s recall. According to the committee’s financial filing, United Against the Recall has spent its money on employee services and consultant and professional services paid to Grassroots Campaign Inc. Pool said some money was spent to create a video for the group’s Facebook page. “Our goal is talk to as many residents as we can, however we can,” she said. Pool said the group is discussing what actions it may take beyond the Facebook page. All money raised by United Against the Recall will eventually be spent fighting the recall. Pool said Conservation Colorado has 1,300 members in La Plata County, and the organization continues to raise money from its members to support efforts to block the recall. United Against the Recall must file its next financial disclosure form on March 23. Lachelt, too, is raising money to fight the recall effort. As of Thursday, Lachelt said she has raised more than $10,000 in donations. In its financial filing Feb. 15, her fundraising committee, La Plata County for Gwen Lachelt, reported $2,405 in donations between Jan. 31 and Feb. 10. the largest contribution – $1,235 – came from the La Plata County Democratic Party Central Committee. It lists no expenditures as of Feb. 15. The La Plata County for Gwen Lachelt committee must next file a financial disclosure form with the Secretary of State’s office on March 15. The effort to recall Lachelt is spearheaded by La Plata County residents Michael Cugnini, Hawkins and Peters. In January, they filed a petition with La Plata County Clerk and Recorder Tiffany Parker. They cited Lachelt’s work lobbying with Western Leaders Network, an environmental nonprofit she started, that they say has lowered her attendance at county meetings, as one reason for her ouster. Supporters of the recall also say her work lobbying with Western Leaders Network impairs her objectivity on oil and gas issues. Recall supporters also have formed a fundraising committee, La Plata County Recall, but it is registered as a small-scale issue committee. These kinds of committees do not have to report donations until they receive $5,000. As of Thursday, it had not filed a report with the Secretary of State’s Office. Parker said Thursday that supporters had not turned in signatures, which are due by March 30. Recall supporters need at least 7,505 valid signatures to move forward with the recall.